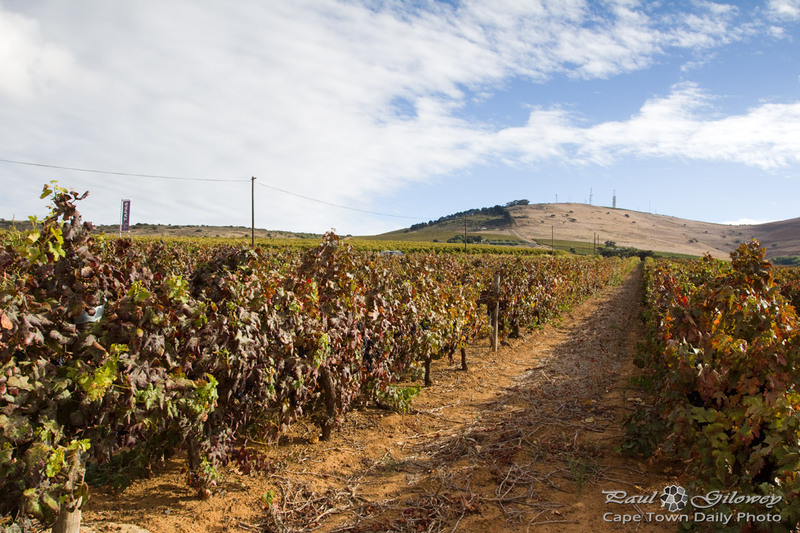 Posted in General and tagged durbanville, vineyards on Thursday, 12 November, 2015 by Paul. 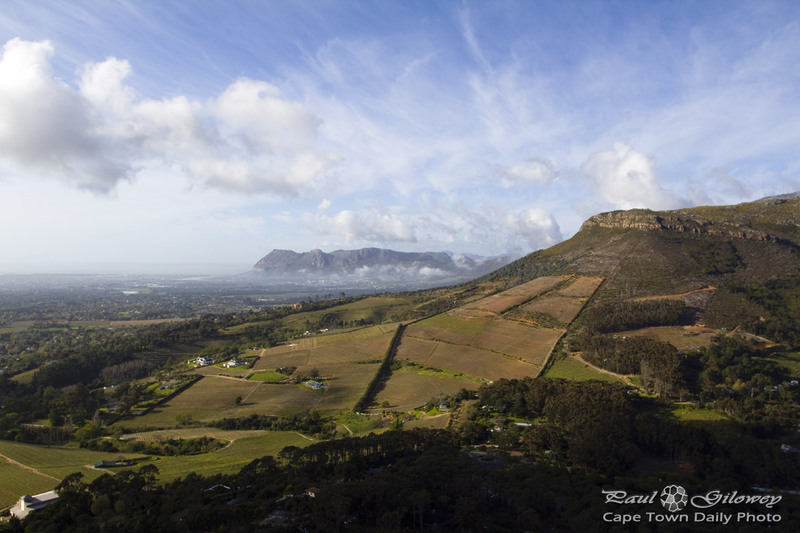 Posted in General and tagged mountains, stellenbosch, vineyards on Saturday, 21 March, 2015 by Paul. A wine-loving friend and I hopped into the car early yesterday morning and traveled the 70km through Cape Town's mist, and over Sir Lowry's mountain pass to the Elgin Valley's Elgin Cool Wine and Country Festival. 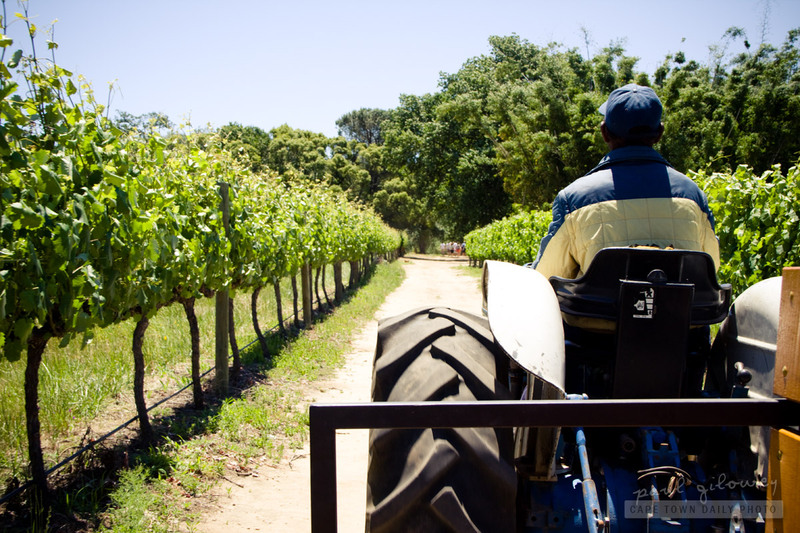 We picked up our festival passes at the well-known-well-loved Peregrine Farm Stall just outside of the town of Grabouw and headed off to visit as many of the participating wine estates as we could manage. 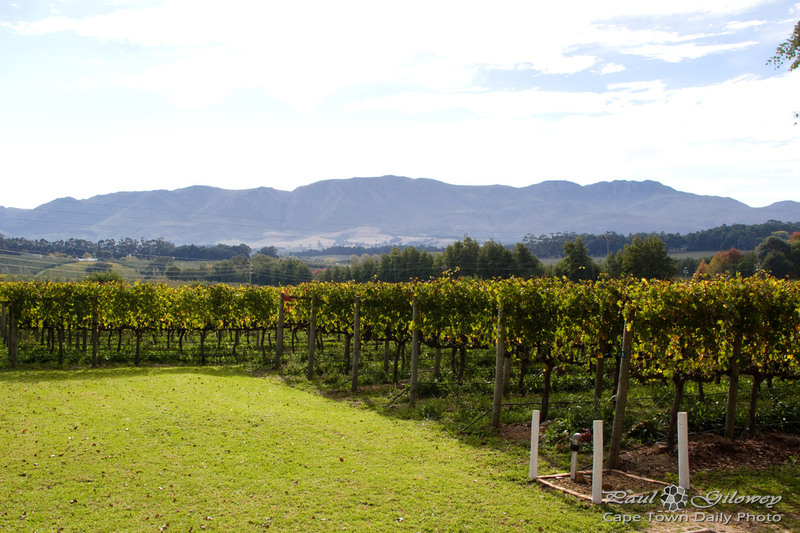 Our first stop was at Belfield, a lovely boutique wine estate just around the corner from the Peregrine Farm Stall. 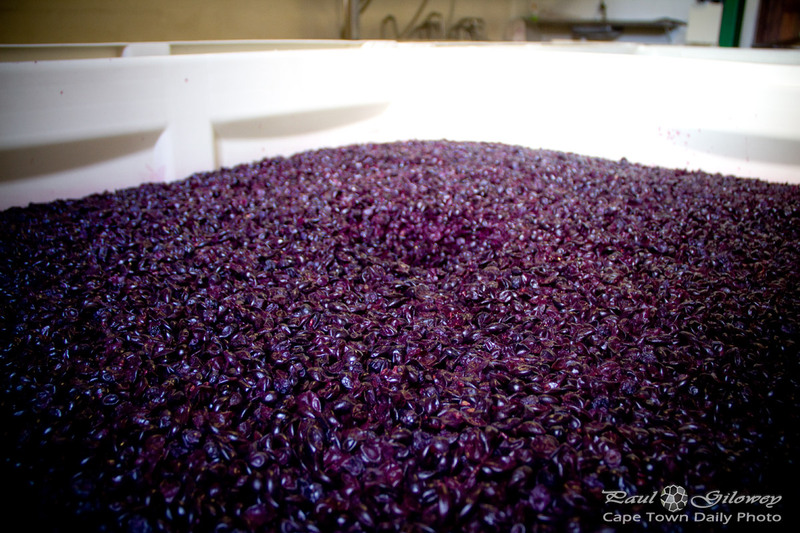 The main photo in this post shows the contents of one of about 6 large plastic tubs filled with cabernet sauvignon grapes; the makings of the estate's award winning wine. Since we were the first to arrive at his estate, Mike Kreft (owner and wine maker) spent a few minutes explaining the mechanics around the grapes in the tubs. What's interesting (and not the obvious from just looking at the tubs) is that the pressed husks, floating on top of of a 100-200mm layer of wine-to-be, are constantly releasing carbon dioxide during the fermentation process. The carbon dioxide hovers in a layer just above the husks and (besides for keeping the wine free from oxygen) effectively serves to wards off insects and other contaminating creatures from indulging in the fruits of Mike's labour. 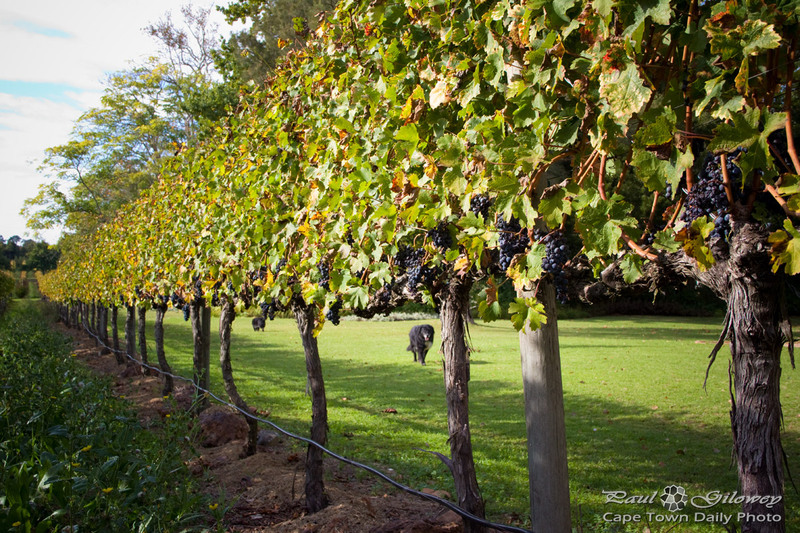 Click on the thumbnails above to see a few more photos that I took on the wine farm's grounds. Posted in General and tagged elgin, vineyards, wine on Sunday, 4 May, 2014 by Paul. 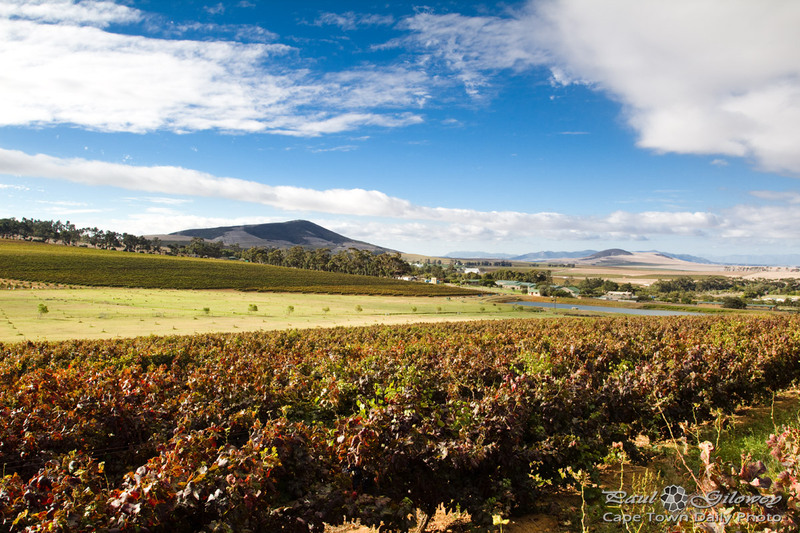 The Elgin Valley, along the N2, in the Caledon area, is one of the most beautiful places in the Cape region. 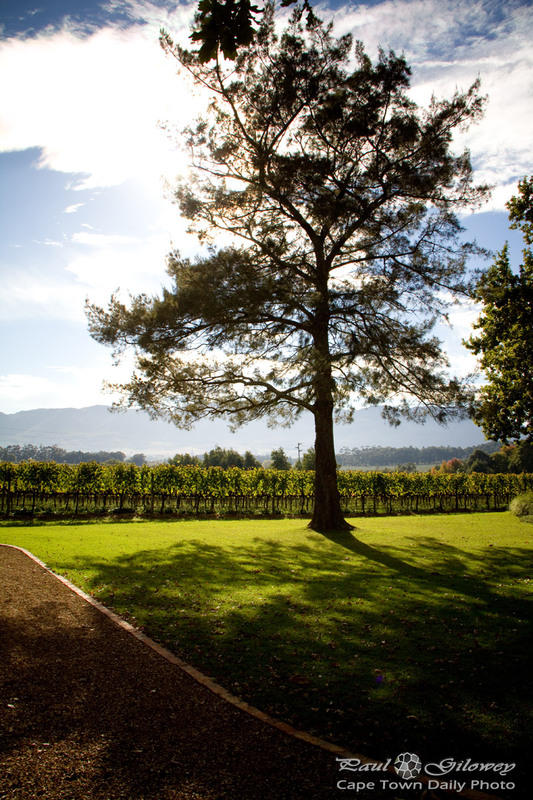 The valley is about 70KM from Cape Town and consists of trees, vineyards, apple orchards and beautifully-manicured gardens on huge estates. 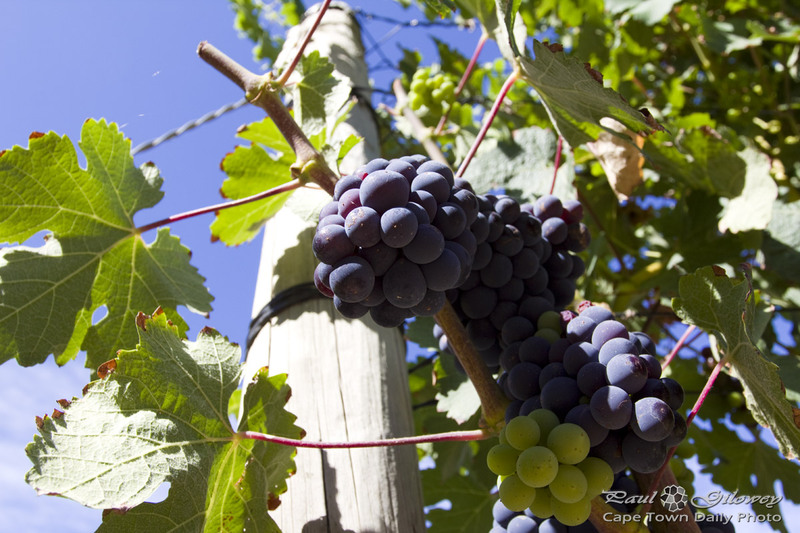 On Saturday 3 May 2014, flocks of families will descend on the Elgin valley, and wine estates will welcome visitors to the full-day Elgin Cool Wine and Country Festival. I won't rehash the details, rather read about what the organisers have in store for you on the festival's website. Oh, and, if you are going to the festival, show me some comment-love below - I painstakingly put the Google Map below, showing each wine estate's location. Some of the estates were REALLY difficult to find on a Google Maps and some of them don't even have working websites. Posted in General and tagged vineyards, wine estates on Tuesday, 1 April, 2014 by Paul. 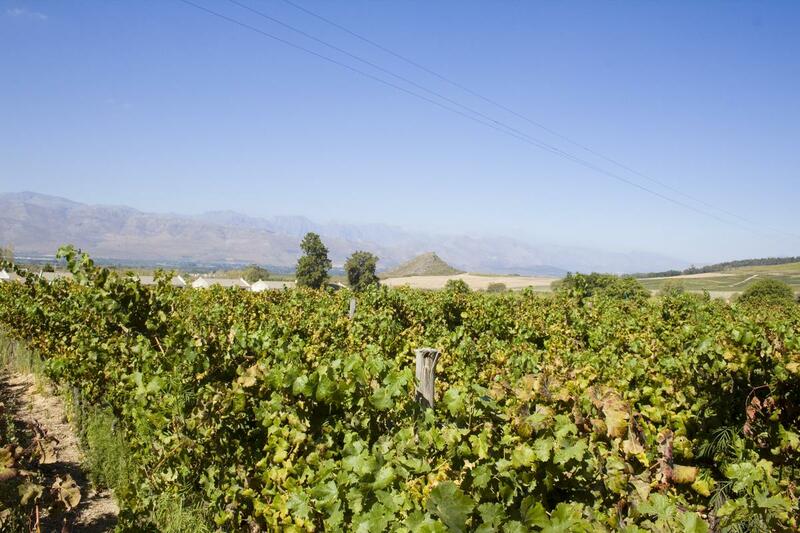 Posted in General and tagged durbanville, vineyards on Sunday, 30 March, 2014 by Paul. Seriously-speaking though, walking about on farmlands dirt roads in dry windy weather leaves one covered in an uncomfortable grimy-feeling layer of fine orange powder mixed with perspiration. Autumn's cool ~21°C weather is far, far, more desirable - and besides, the skies are bluer and filled with billowing clouds, and the farmlands are a beautiful mix of green and orange. 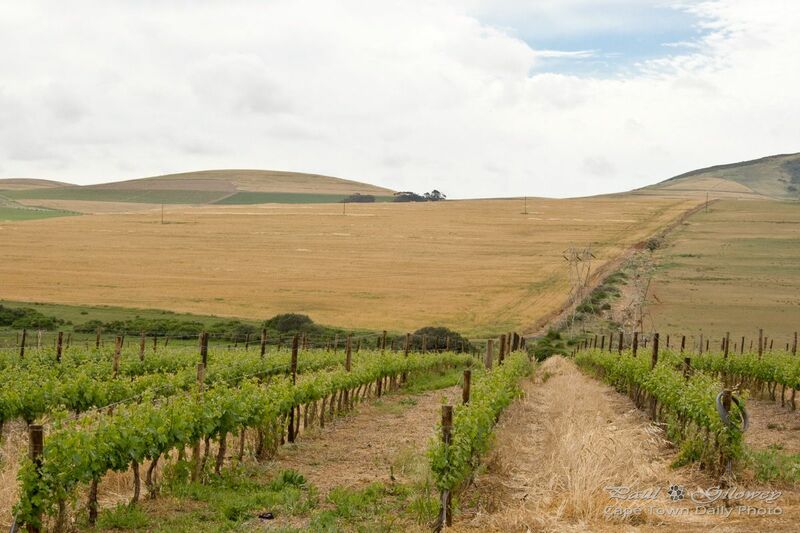 Posted in General and tagged durbanville, farmlands, vineyards on Friday, 28 March, 2014 by Paul. 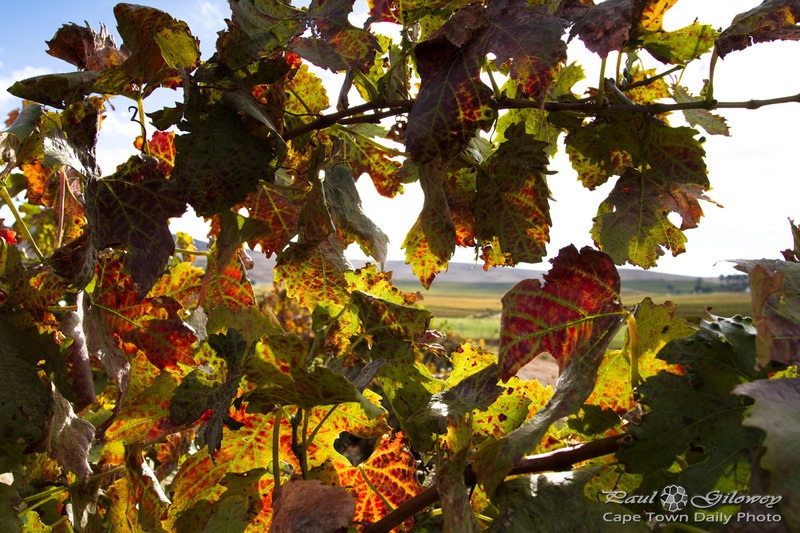 Posted in General and tagged autumn, leaves, vineyards on Tuesday, 25 March, 2014 by Paul. To capture this one, I took ten paces the the left of where I shot the photo in my previous post. This really is a beautiful part of Cape Town's southern suburbs. 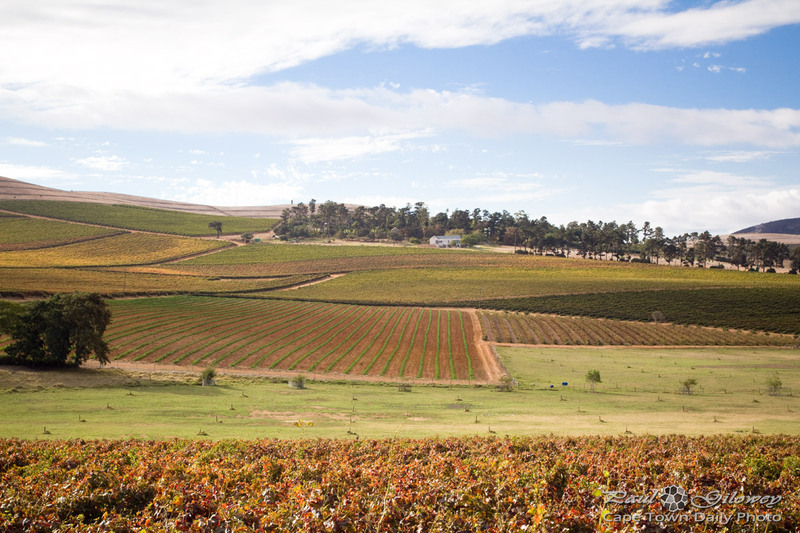 Read more about Groot Constantia in my previous post. Posted in General and tagged constantia, groot constantia, trees, vineyards on Friday, 3 January, 2014 by Paul. Posted in General and tagged constantia, hills, vineyards on Thursday, 19 September, 2013 by Paul. 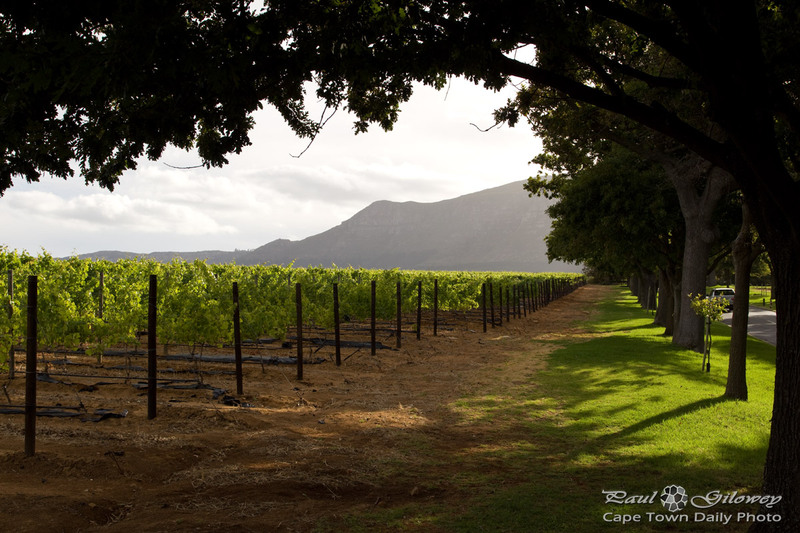 Posted in General and tagged grapes, vineyards on Tuesday, 22 January, 2013 by Paul. Kerry-Anne and I have taken to doing short hikes on weekends. 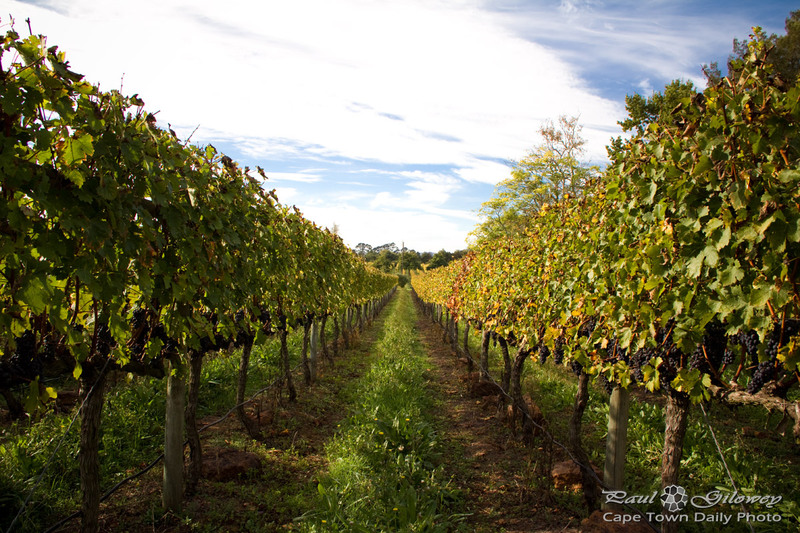 This particular one was at Hillcrest in Durbanville - along a mountain bike trail that leads though the vineyards. Only after the hike did we learn that this area is well known for the Cape Cobra - an extremely venomous snake. While we never actually saw snakes, the sign "Snake Alley" (posted along one of the routes we walked) made a whole lot more sense, and we felt really grateful for not encountering any of the slippery, slithery slinkies. 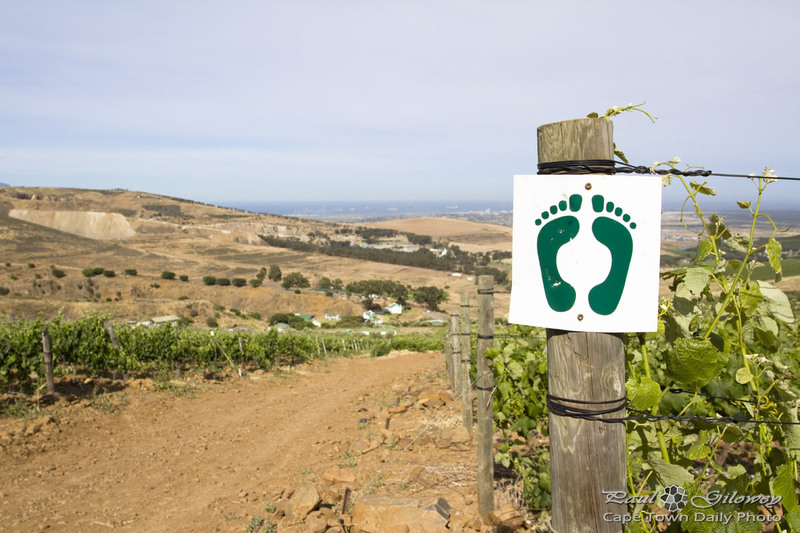 Posted in General and tagged durbanville, hiking, vineyards on Thursday, 20 December, 2012 by Paul. 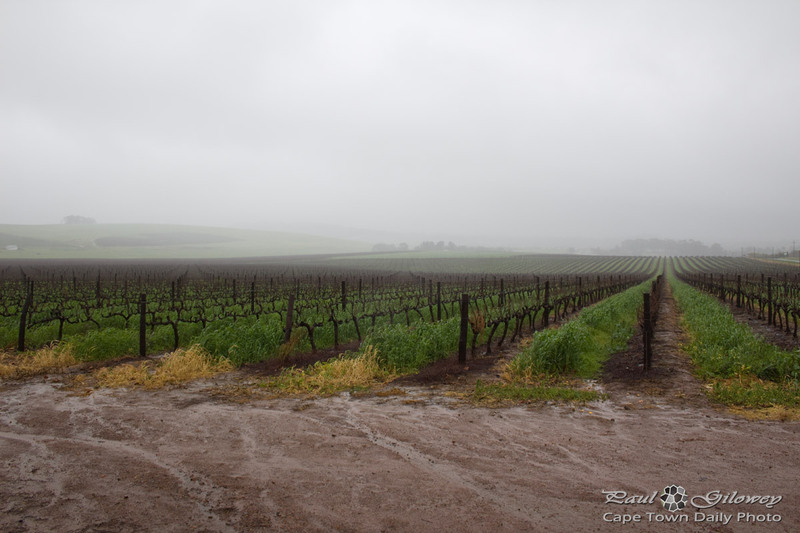 Posted in Landscape and tagged cloud, rain, vineyards on Monday, 9 July, 2012 by Paul. Isn't this scene, with the little church and green vines, just beautiful? The afternoon's soft autumn light, falling across the vineyard, was absolutely captivating. We took a quick drive into Montpellier, and given what we saw (how beautiful the place is) I'm fairly certain that hiring this venue for a wedding would cost a pretty penny... however, it really is very pretty - and probably perfect if you'd love to get married out in the country. Perhaps you know that the city of Montpellier is in southern france. Do distinguish this estate, its full name is "Montpellier De Tulbagh" (or "Montpellier Du Cap", as noted at their front gates). 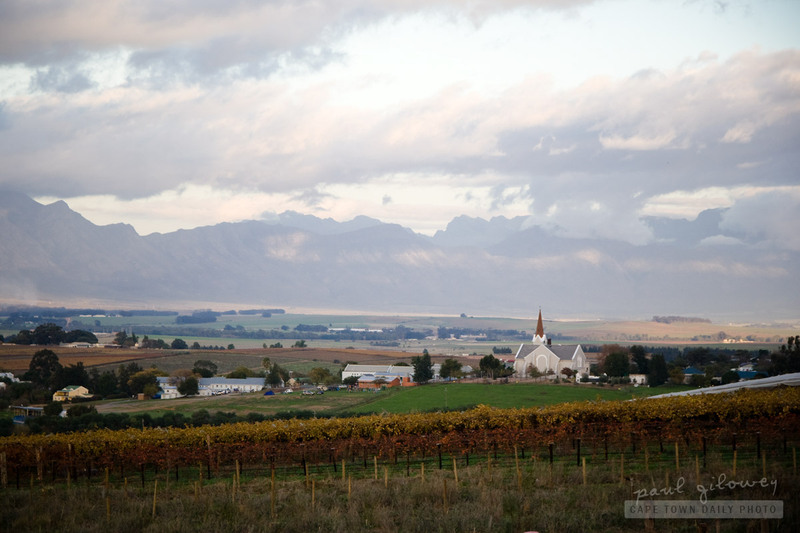 Posted in General and tagged church, tulbagh, vineyards, wedding on Sunday, 6 May, 2012 by Paul. We tagged along with a Irene and a small cluster of friends to Solms-Delta for a picnic along the river. At arrival we first took time to enjoy the wine tasting and then boarded this small tractor for a trip among the vines to the picnic spot on the banks of a little river. The picnic cost R135 per person and came neatly packed in a cane basket with bottles of wine and water. The day was hot. The wind was cool. The food was good. In conclusion - we had an awesome time devouring the food, lying under the trees, dipping into the river, and playing a round or two of cricket. The picnic at Solms-Delta comes well recommended! Posted in Activities and tagged picnic, tractors, vineyards on Wednesday, 30 November, 2011 by Paul. I wrote about the Royal Hotel in Riebeek West yesterday, and before that I showed you a photo of a pastel-blue building from that same town. This photo of the little town is taken from just outside its borders. 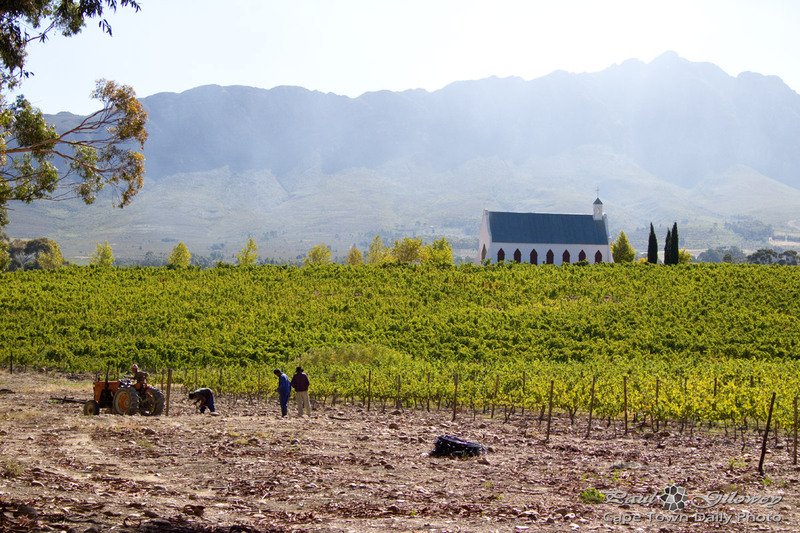 If you've visited Riebeek West before, you'd immediately recognise the large church building. Colourful vineyards, green fields, blue mountains, and billowing clouds. The late afternoon sun makes this such a beautiful landscape. I wonder if people living here ever become jaded towards its beauty. Posted in Landscape and tagged churches, clouds, mountains, vineyards on Tuesday, 19 July, 2011 by Paul.